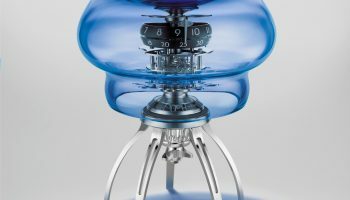 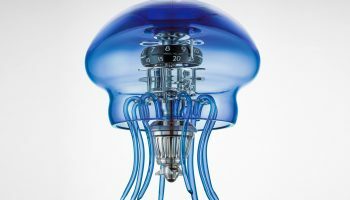 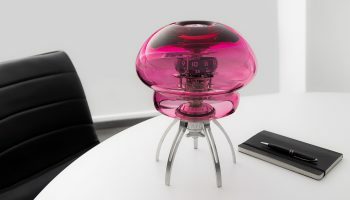 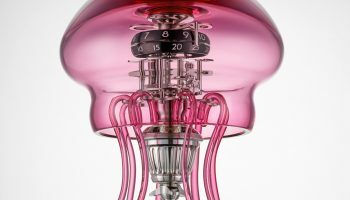 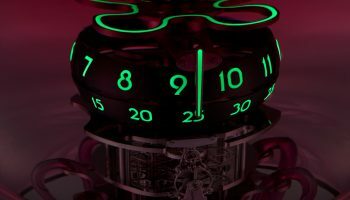 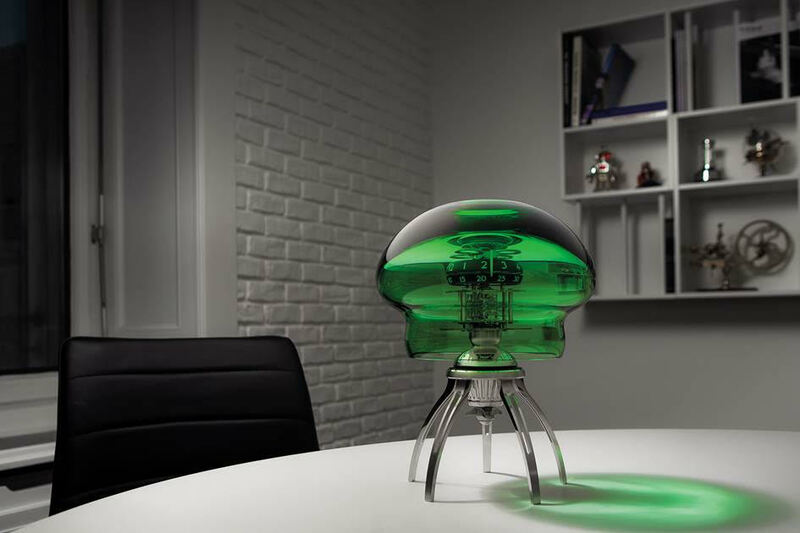 To craft the new clock, L’Epée crossed the Swiss border and travelled to the Italian city of Venice: the bell-shaped, jellyfish-like body of Medusa is formed by a transparent dome of hand-blown Murano glass. 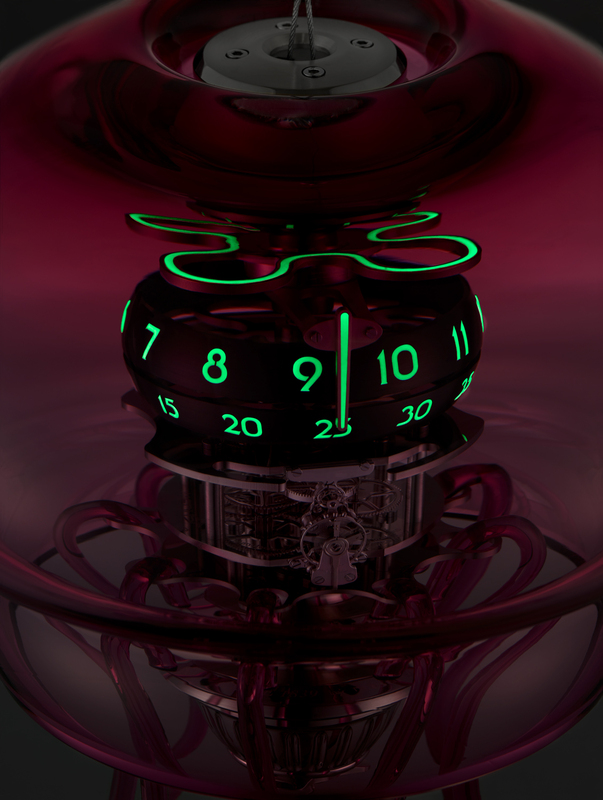 Two rotating rings display the hours and minutes, visible through the dome. 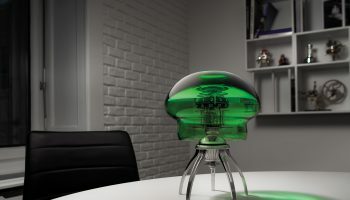 Like a jellyfish glowing in the deep, Medusa glows in the dark thanks to Super-LumiNova. 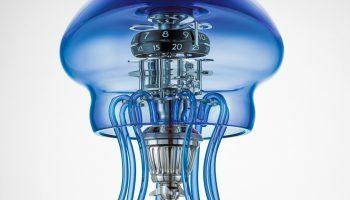 Underneath the Murano glass, a 155 component, 7-day power reserve movement forms the pulsating heart of this mechanical creature. 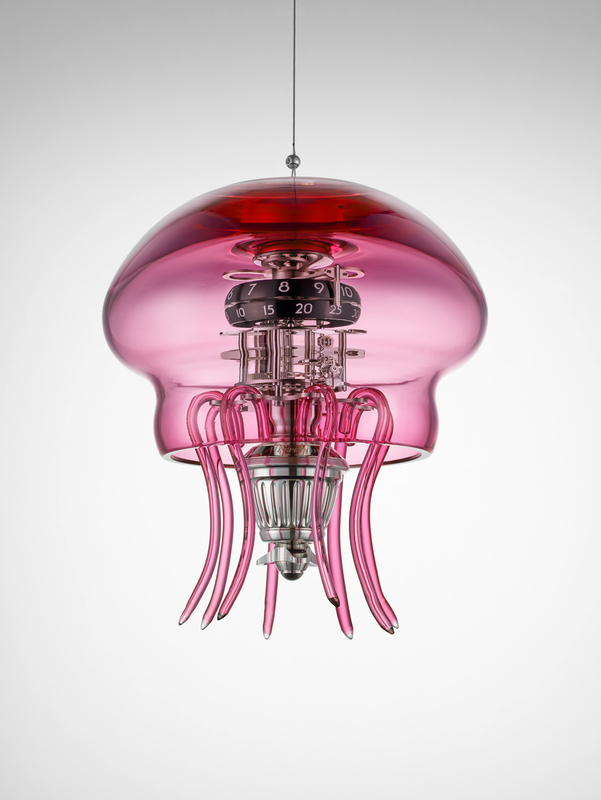 You can either stand Medusa up on your desk or suspend it from the ceiling, floating in mid-air like a jellyfish in water; in the suspended configuration, the supplied tentacles in Murano glass will complete the aquatic illusion. 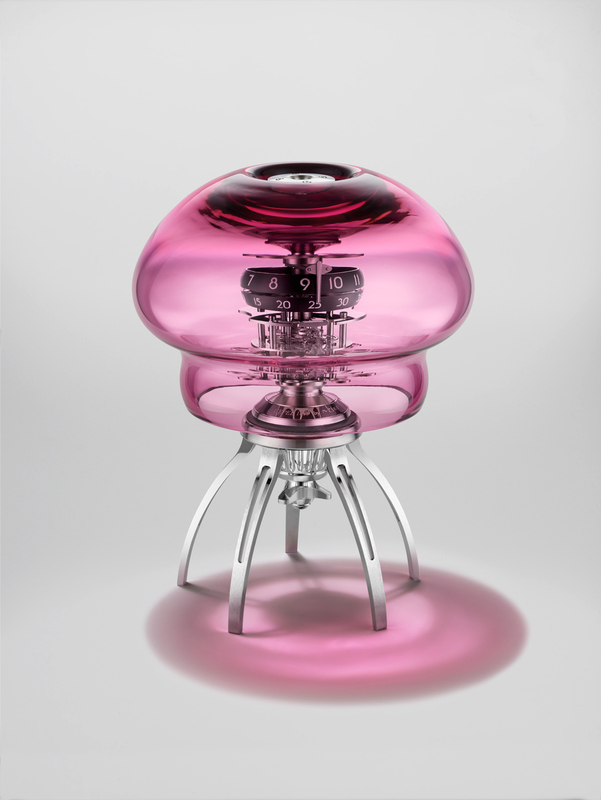 Medusa comes in three limited editions of 50 pieces each in blue, green and pink.Retail price is CHF 25’500 + VAT.